A trip to Annie’s Annuals, in Richmond last month to hear a talk on “Fruit Tree Frenzy” by Phil Pursel of Dave Wilson’s Nursery was very informative to me as well as the many people that were there to hear him. He talked about pruning and said that pruning is important the first three years of the tree’s life and gave many demonstrations on how to prune different fruit trees. His talk was mainly for the home gardener and how we can make picking the fruit easier when it is ready by correct pruning. His demonstration on pruning included a fig tree, which was pruned to about 3 feet tall from a 6 foot tree; he left very few branches to leaf out, a apricot tree with only the main heading was cut to about 4 feet near where he had an existing bud that would be the way he wanted the tree to grown and a weeping fruitless Santa Rosa plum that was only cut down a couple of feet. It ended up being about 5 feet tall. This weeping Santa Rosa was going to be a wonderful looking tree that I would love to have in my garden. He also pruned a fruit salad tree that was made up of Blenheim apricot, Gold Dust peach, Independence nectarine and a July Elberta peach. 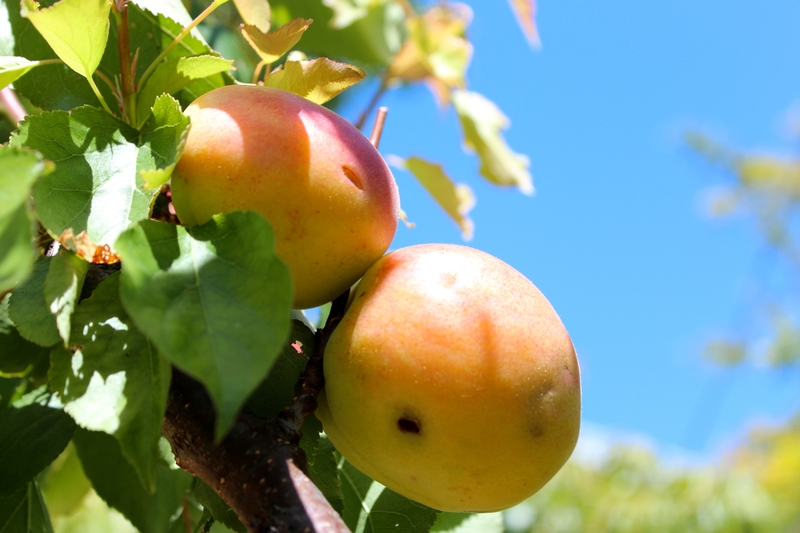 When he pruned the fruit salad tree, he really cut the Blenheim way down, as he said if it was pruned like the rest of the stone fruit, it would take over and this fruit salad tree would end up being a Blenheim apricot tree, if it is not pruned heavily -it is that dominate. 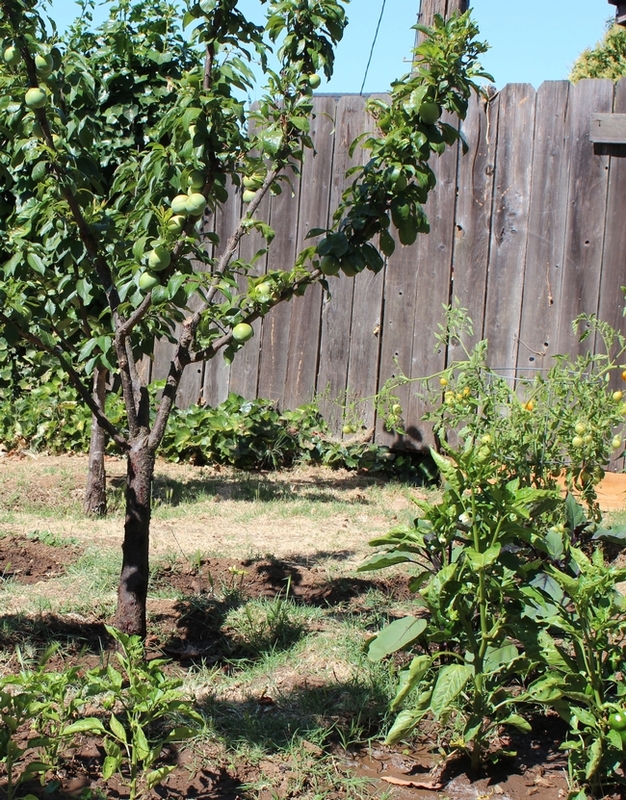 In his opinion if you really want a fruit salad tree, apples are much better than stone fruit for this project. We learned that when two fruits are combined into one like the Pluots it takes at least 5 years before they are ready for the consumers in the stores. 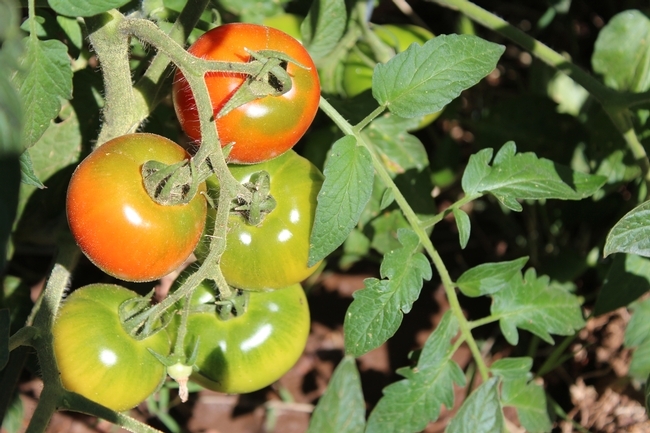 Right now they are working on a Pularie, which is a Santa Rosa plum and a cherry, the name of the cherry he would not develuge . But this fruit is years away yet as they are still in the early testing stage. 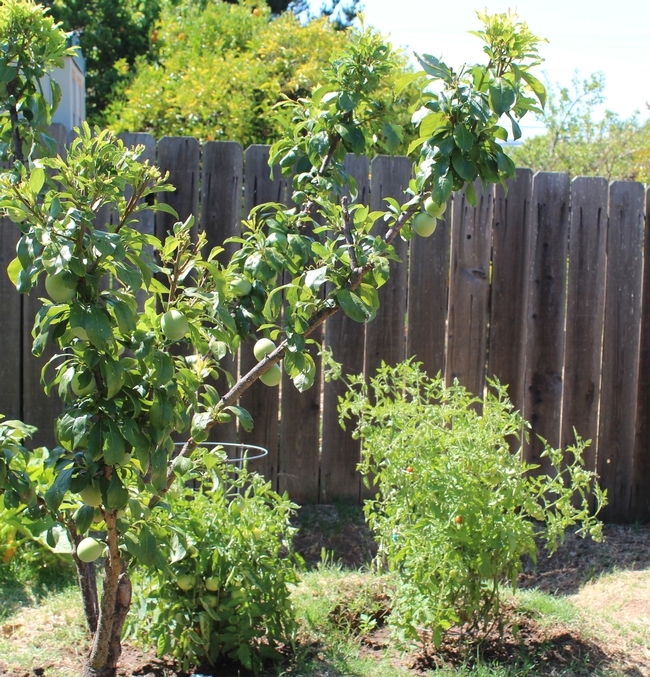 Finally home gardeners and urban farmers are encouraged to keep all fruit trees at 6-8- feet tall, this makes easier maintenance and for safer picking of the fruit. He suggested the practical method of pruning to keep a tree less than 12 feet is summer pruning and home gardeners are responsible for the size a tree gets. Water and fertilizer influence tree growth and according to the information from Dave Wilson Nursery, fruit trees do not need a lot of water or nitrogen.